Fashion journalist, Julia Robson is an associate lecturer in fashion journalism at the London College of Fashion and Central Saint Martins. 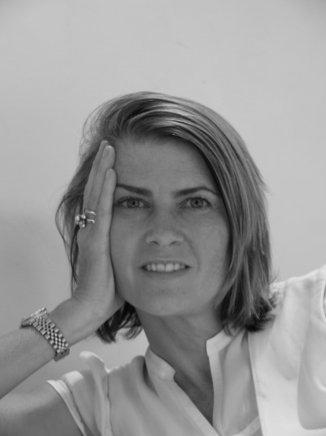 She is a visiting lecturer of fashion journalism and media at Regents University and Conde Nast college of Fashion & Design. The former deputy fashion editor of The Daily Telegraph and fashion editor of The Sunday Mirror contributes to numerous publications internationally and is professionally recognized internationallly. Academic research interests include representations of fashion through text; how culture, time and zeitgeist impact on the professional wordsmith; how patterns of consumption – that’s shopping to you and me – including ethical consumption, now dictate what occurs within fashion. She is committed to greater diversity and inclusion within fashion and media and is currently studying for a Masters in Academic Practice in Art, Design and Communication at CLTAD at UAL. Associate Lecturer, Fashion Journalism, London College of Fashion and London College of Communication (formerly LCP). Teaching pupils across pre graduate journalism and media courses. Including EAL students. Private and state sector. BA Hons and MA. 2012 – present, teaching unit in ‘Investigative journalism’ and ‘Feature Treatments’ to BA Hons Fashion Journalism students at London College of fashion. 1-3rd year. 2013 – present. Setting course project and doing tutorial work with MA journalism students at Central Saint Martins. 2014 – present. Visiting Lecturer at Regents University. 2012 – present, involved in LCF and the education charity, Sir John Cass, on a magazine project mentoring students and women prisoners at HMP Send prison. Working one day a week in HMP Send, Woking, with prisoners. In role as editor of the magazine written by students, and prisoners for distribution solely within the prison. ‘The Beauty’s Inside’ was subsequently a winner of the Outreach award in The Times HE Awards, 2014. 2009-2013, London tutor/lecturer to visiting students from Fashion Institute of Technology, University of New York, teaching courses in British culture and media during summer vacations. 2011 – present day, lecturing Style Journalism as part of a Study Abroad programme to international students from Russia, Europe, US, Brazil and India. 2007 – wrote syllabi and taught Introduction To Fashion Media short course designed for 16-18 year olds for short course department at LCF. © 2015 Julia Robson All right reserved.